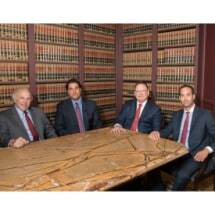 For more than 25 years, our attorneys at the law firm of Russo, Karl, Widmaier & Cordano, PLLC, have served the legal needs of clients in New York and throughout the Hauppauge area. You can count on us to provide you with personalized legal representation. That means we sit down with you to learn about your story and your goals for your case. Personalization also means providing you with advice you can trust. When you need a candid assessment of your case and your chances for success, you can turn to us. You will rest easy knowing you have relied on the experienced judgment of our team when making some of your most important decisions. Our years of experience enable us to help you see how the law is practiced in your locality. We can advise you intelligently as to how judges have viewed cases similar to yours in the past and what bearing those past cases may have on your case moving forward. Come see us for an initial consultation at one of our firm's convenient locations: Hauppauge, Riverhead, Garden City, Northport and Brooklyn.